Polish American radio programming in Western New York is as old as the medium itself. As the first stations were coming online in the 1920s, Polish language reviews and variety shows took to the waves. As the technology became more affordable and went mainstream Poles would start their own programs and stations that would not only speak to regional audiences, but national, and international as well. As radio was coming into its own in Western New York, Polish programs were experimented with. One of the earliest popular Polish language programs was WEBR’s Podeszwa and Kordula. Starring Sophia Hubert and Louis Faltyn, Podeszwa was a comedy about a Polish couple living in Buffalo. In one 1926 episode the couple, joking about divorce, says they have to check with their parish priest at Corpus Christi to talk about the Church’s stance. At the audience’s request the parish priest, Father Justin Figas, came on the next week and gave an entertaining talk about the Church and divorce. Father Figas’ appearance on the show became the talk of the community and soon Father Justin began his own segment. Father Figas knew that to reach a wider audience he would have to develop his own network. He formed the Great Lakes Network working with WCFL in Chicago WJBK in Detroit, KQV in Pittsburgh, WGBI in Scranton, and WJAY in Cleveland. 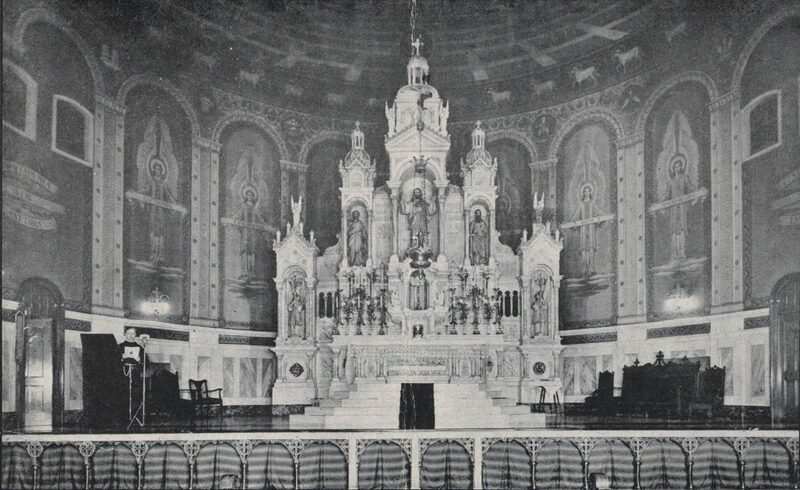 On Sunday December 6, 1931, Father Justin began broadcasting his Rosary Hour to Polish communities across America from Corpus Christi Church, Buffalo. In time, the number of stations would reach 72 with three million regular listeners in the USA. The program would survive its founder and could still be heard in 2016. Through the 1930s, ‘40s, and ‘50s other Polish programs could be heard on the radio. The Kolipinski Furniture Hour on WEBR, sponsored by the Kolipinski Brothers Furniture Store, 1119 Broadway, often showcased Polish singers, bands, orchestras, and skits. WHLD hosted Matt Korpanty and his Polonia Varieties and in 1947, WWOL began broadcasting St. Stanislaus Church’s noon Mass due to the work of station manager Stan Jasinski. Stanley Jasinski, who started working in Buffalo’s broadcasting industry in 1940 at WBNY, wanted to start his own station in 1961. Taking his experience from WKBW, the Polish radio personality formed the Seaport Broadcasting Corporation and applied for a license. 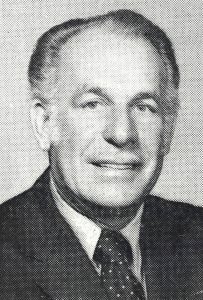 After a vicious application process, that included rival station WEXC accusing Jasinski of trying to influence the Polish vote that unseated Frank Sedita and saw Chester Kowal elected Buffalo’s second Polish American mayor, Stan was granted a license and on January 17, 1965, WMMJ began broadcasting from its Lancaster location. In that first year WMMJ would produce a number of polka programs, women’s shows, and provided an outlet for country music. Jasinski would sell WMMJ to Ramblin’ Lou Schriver in 1970, who changed the call letters to WXRL. Under Schriver, WXRL continued to devote a substantial amount of airtime to polka music. For his part, Jasinski went on to television and started WUTV. Other titans of Polonia also made their way to the radio waves. Polka impresario Joe Macielag moved the Pic-A-Polka Show to WBLK for a time, and Polish Union of American president Daniel Kij’s 1987 Christmas interview with Lech Walesa for WBFO was famously cut short by the Soviet secret police. At the turn of the millennium Polish radio continued to be strong in Western New York. Drive Time Polkas with Ron Dombrowski, Rockin’ Polkas with Mike and George Pasierb , the continual broadcast of Father Justin Rosary Hour, Polish Blood with Norm Skulski and St. Stanislaus Noon Mass could all still be found on your radio dial in 2015. "4 Shows Make Video Debut Tonight." Buffalo Courier-Express [Buffalo, NY] 16 Apr. 1959: 37. Print. Allen, Jack. "Country Music to Get Boost With 'Shindig'" Buffalo Courier-Express [Buffalo, NY] 5 Aug. 1964: 26. Print. Allen, Jack. "New Station WMMJ To Go on Air Sunday." Buffalo Courier-Express [Buffalo, NY] 14 Jan. 1965: 4. Print. Allen, Jack. "WHLD Is Honored On 25th Anniversary." Buffalo Courier-Express [Buffalo, NY] 29 May 1965: 7. Print. "Area Firm Seeks TV Channel 29." Tonawanda News [Tonawanda, NY] 28 May 1963: 13. Print. "The Buffalo Broadcasters: Broadcasting History." The Buffalo Broadcasters. The Buffalo History Works, 2006. Web. 14 Feb. 2016. "Do You Remember?" Tonawanda News [Tonawanda, NY] 7 Aug. 1980: n. pag. Print. "Ch. 7 Hearing Nears End In Washington." Buffalo Courier-Express [Buffalo, NY] 25 June 1955: 9. Print. Corpus Christi Church. Pamietnik Zlotego Jubileuszu Parafii Bozego Ciala, 1898-1948. Buffalo, NY: Everybody's Daily, 1948. Print. Corpus Christi Church. Diamond Jubilee Album of Corpus Christi Parish, Buffalo, New York, 1898-1973. Buffalo, NY: Buffalo Standard Printing, 1973. Print. "Extension OKd In Radio Case." Buffalo Courier-Express [Buffalo, NY] 20 Feb. 1963: 25. Print. "FCC Weighs Polish-Vote Radio Appeal." Buffalo Courier-Express [Buffalo, NY] 10 Jan. 1962: 13. Print. Fess, Margaret. "Polish Entertainment Excellent." Buffalo Courier-Express [Buffalo, NY] 5 Nov. 1958: 17. Print. "Fr. Figas: His Life and Legacy." The Am-Pol Eagle. N.p., n.d. Web. 14 Feb. 2016. Hajkowski, Stanisław. The Cultural Transition and the Attitudes of Polish Immigrant Families towards Divorce and Parental Authority in the United States, 1931-1940. Diss. 2010. N.p. : n.p., n.d. Print. "Holiday Highlights Listed." Buffalo Courier-Express [Buffalo, NY] 25 Dec. 1952: 29. Print. "Ks. Tadeusz Zasępa: Ojciec Justyn Figas - Twórca Radiowej Godziny Różańcowej - Cz.8: Godzina Różańcowa." Ks. Tadeusz Zasępa: Ojciec Justyn Figas - Twórca Radiowej Godziny Różańcowej - Cz.8: Godzina Różańcowa. N.p., n.d. Web. 14 Feb. 2016. "Lancaster AM Station Is Approved." Buffalo Courier-Express [Buffalo, NY] 6 June 1964: 15. Print. "More Hearings on Area Radio Case Are Asked." Buffalo Courier-Express[Buffalo, NY] 1 Mar. 1963: 7. Print. "ON THE AIR." WXRL.com. WXRL, n.d. Web. 16 Feb. 2016. Pacholski, Bob. "Founding of Father Justin Rosary Hour to Be Noted. "Buffalo Courier-Express [Buffalo, NY] 21 July 1968: 37. Print. "Publicity Plans To Be Formed." Buffalo Courier-Express [Buffalo, NY] 29 Mar. 1949: 28. Print. "Radio Station Approved By Lancaster Board." Buffalo Courier-Express[Buffalo, NY] 21 July 1964: 13. Print. Siemankowski, Francis T., ed. Polish- Americans and the U.S. Bicentennial. Buffalo, NY: Am-Pol Eagle, 1977. Print. "Sidell Offers To Withdraw In Radio Case." Buffalo Courier-Express [Buffalo, NY] 9 Jan. 1964: 14. Print. "Tonawanda Girl Yodeler to Compete Tonight on TV." Buffalo Courier-Express [Buffalo, NY] 12 Feb. 1956: 9-C. Print. "Radio." Buffalo Courier-Express [Buffalo, NY] 2 Dec. 1931: 6. Print. "Rival Radio Applicants Renew War of Words." Buffalo Courier-Express[Buffalo, NY] 14 Apr. 1962: 6. Print. "Sang on Kolipinski Hour." Tonawanda News [Tonawanda, NY] 24 Dec. 1934: 3. Print. "Sophia Hubert, Polish-language Radio Comedian." Buffalo News [Buffalo, NY] 30 July 1996: n. pag. Print. "Walesa Interview Cut Short." The Citizen [Auburn, NY] 4 Dec. 1987: 5. Print. Warren, Lucian C. "Protest Threaten Radio Station Rule." Buffalo Courier-Express [Buffalo, NY] 25 Dec. 1962: 68. Print. Warren, Lucian C. "Suburban Radio Station Rivals Rap Each Other." Buffalo Courier-Express [Buffalo, NY] 28 Mar. 1962: 7. Print. "WMMJ-1300." Buffalo Courier-Express [Buffalo, NY] 21 Aug. 1965: 6. Print. "WEBR's Announcement Policy Cited for Record." Buffalo Courier-Express[Buffalo, NY] 9 Jan. 1962: 26. Print. Witul, Gregory. "I Have a Question for You." Message to Joseph Macielag. 15 Feb. 2015. Facebook.